I used to watch funny YouTube videos and movies online, but recently I decided to have them downloaded onto my Mac desktop for easy storage offline playback and can sometimes download them to my iPad for portability. Is there any safe and easy way to download while converting the YouTube videos to Apple and QuickTime formats? Answer: Downloading YouTube to MOV file is a wise way for watching YouTube videos on iPad, iPhone or other Apple device offline. There are many online YouTube to MOV converters, but most have potential safety hazard. So the safest way is to download a totally clean YouTube downloader and converter to achieve it. 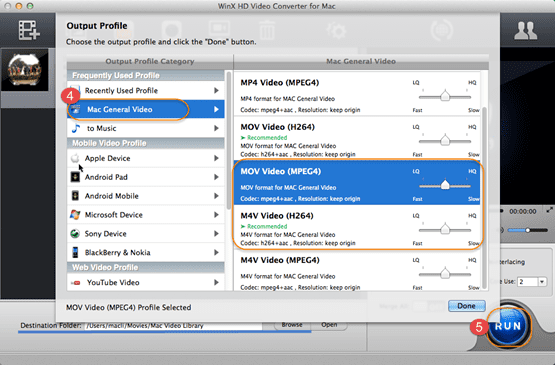 WinX HD Video Converter - The best YouTube downloader and YouTube to MOV video converter for Mac or PC. It lets you play YouTube videos on QuickTime Player easily. Why Convert YouTube Video to MOV File Format? 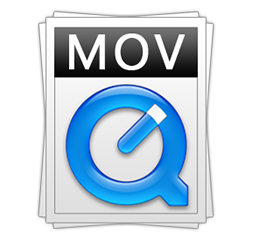 MOV is a native multimedia format of Apple's QuickTime for saving movies and other video files, compatible with both Macintosh and Windows platforms, using a proprietary compression algorithm developed by Apple Computer. However, the built-in formats of YouTube files are FLV, MP4 and WebM and the majority of free YouTube downloaders only support downloading and outputting YouTube files in such file extensions. By converting YouTube to MOV videos, users can play back the downloaded online videos on Mac, iPhone, iPad, iPod or Apple TV like a cork. Many people chose some online YouTube downloaders. They are so easy to use that only a few clicks will help save a YouTube video. However, such tools like such as ClipConverter have Security Errors frequently. Your system security guard may warn you that clipconverter.cc is an infected or unsafe website. Once downloading and converting, you are in danger of unwanted plug-ins like malware or virus that may block your firewall. You may also be recommended with the installation of Java plug-in, accelerator and other offers. Therefore, downloading YouTube MOV video through online video converting tool is not so suggested as professional YouTube video downloading/converting software in consideration of computer safety. 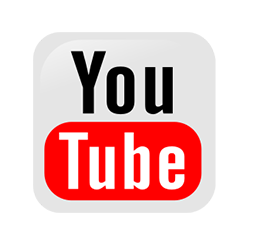 How to Use a YouTube (MP4) to MOV File Download and Convert on Mac (or PC)? YouTube to MOV converter for Mac is the best and safest alternative to download YouTube videos to MOV QuickTime files on Mac OS. In addition to a free YouTube video downloader, WinX HD Video Converter can convert YouTube videos. Here are a few other examples: YouTube to MP4, YouTube to WAV, YouTube to FLAC, YouTube to MP3, YouTube to iPad. Besides, it can convert and compress any kinds of 4K UHD, HD and SD videos, make photo slideshows, record Mac screen and so on. Take a closer look at the steps of downloading an online YouTube to MOV video on Mac OS as an example. If you want to know how to switch YouTube to MOV on Windows, please refer to HD Video Converter for PC user guide. Step 1. Run the clean YouTube to MOV converter on Mac, open YouTube and find the video you'd like to download. Click YouTube icon, and then "+" and paste the video URL. Step 2. Click Analyze and choose an output result. Click OK. Step 3. 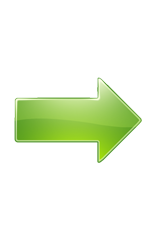 Check "Auto add to convert list", click "Download Now" to start the download. Step 4. After finishing YouTube downloading, the downloaded video will be automatically added to the conversion list. On the Output Profile, click "Mac General Video" and choose MOV. You can choose either "MOV Video (MPEG4)" or "MOV Video (H264)". Optionally, you can set the output quality from LQ to HQ. Generally, LQ conversion delivers faster process and smaller file size, but HQ will meet your needs on image effect. You can set the "Destination Folder" to save the output file through browsing your Mac. Step 5. Hit RUN button to start the YouTube to MOV conversion. Thus, the YouTube video is downloaded and saved on your computer in .mov file extension. You can play it directly on Mac, or transfer it to iPhone iPad for playback. This YouTube to MOV video downloader is also the best MOV video converter for converting videos from or to MOV, namely, MOV to MP4, MOV to AVI, MOV to M2TS, MOV to MKV, AVCHD to MOV, MKV to MOV, FLV to MOV, MP4 to MOV, MPEG to MOV, etc. Actually, it can handle any kinds of video formats in batch mode with as many as 370+ built-in video & audio Codecs and 410+ Preset Profiles for Apple Android Microsoft devices. It also helps add external subtitles to videos, trim/crop/merge videos, etc. Download the multi-purpose video software on Mac or PC now!